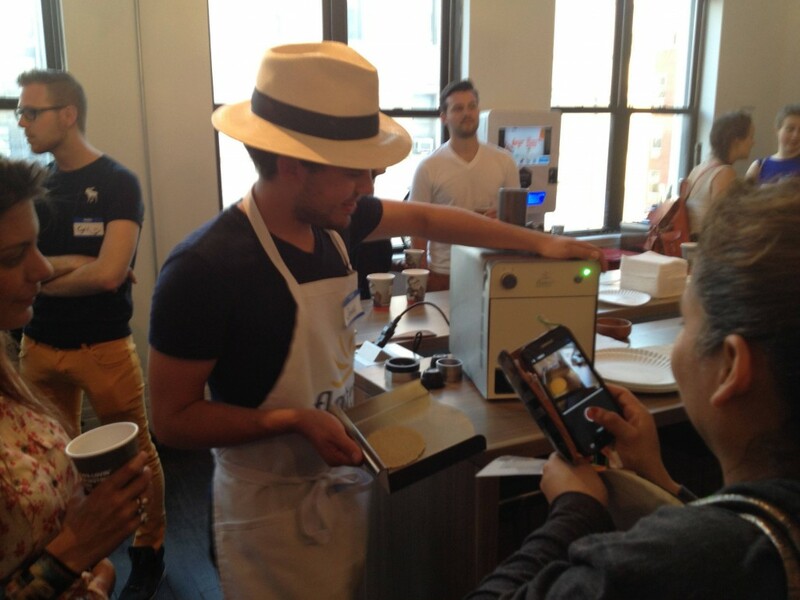 Jonas, our in-house robotics genius, shows off the machine to excited guests. 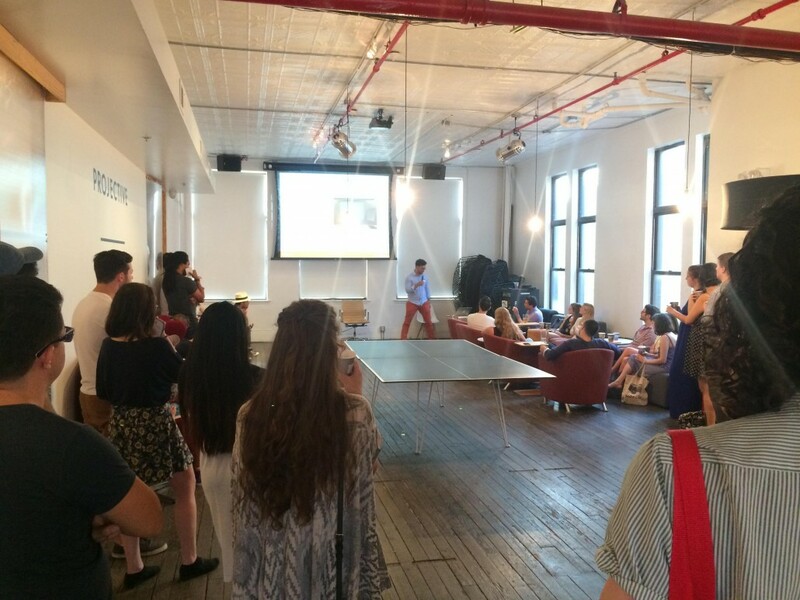 Last night, we held our very first NYC Happy Hour at Projective Space. For many of our guests, it was their first time trying the “magical” tortilla. 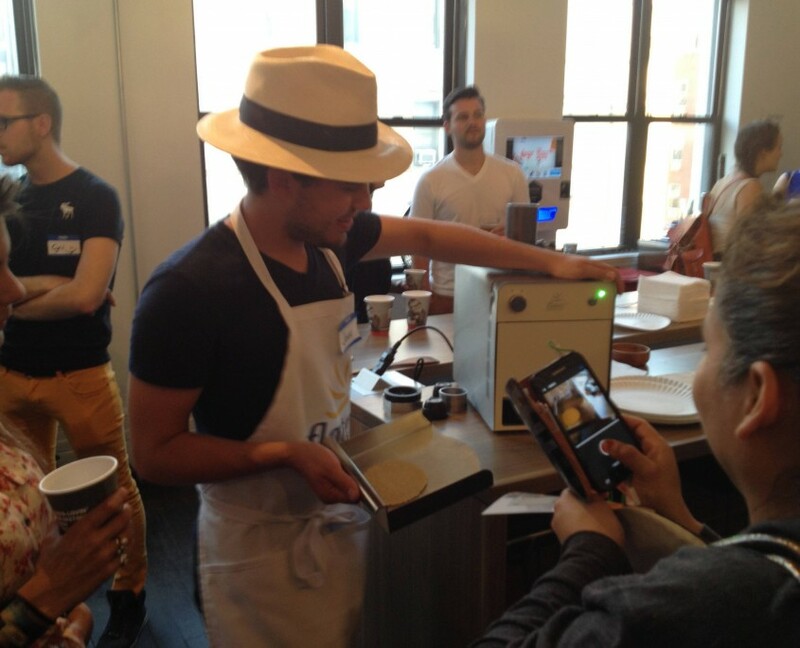 Our in-house robotics genius, Jonas, showed off the machine and let everyone taste the freshly baked tortillas and the variety of flavors it comes with. 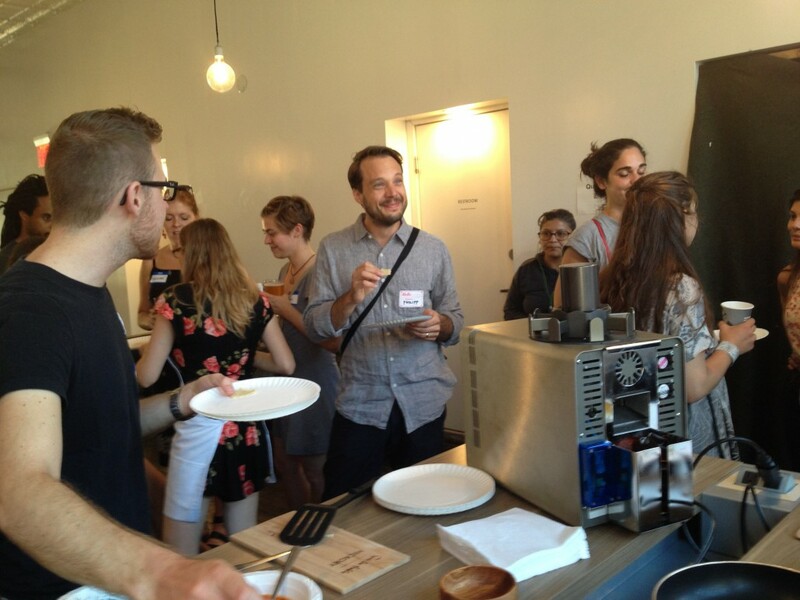 Throughout the night, the space was filled with delightful aromas of chili, cinnamon, and corn. We’d like to thank everyone who made it out last night, and we’ll definitely be holding more Taco Tuesdays in the near future. 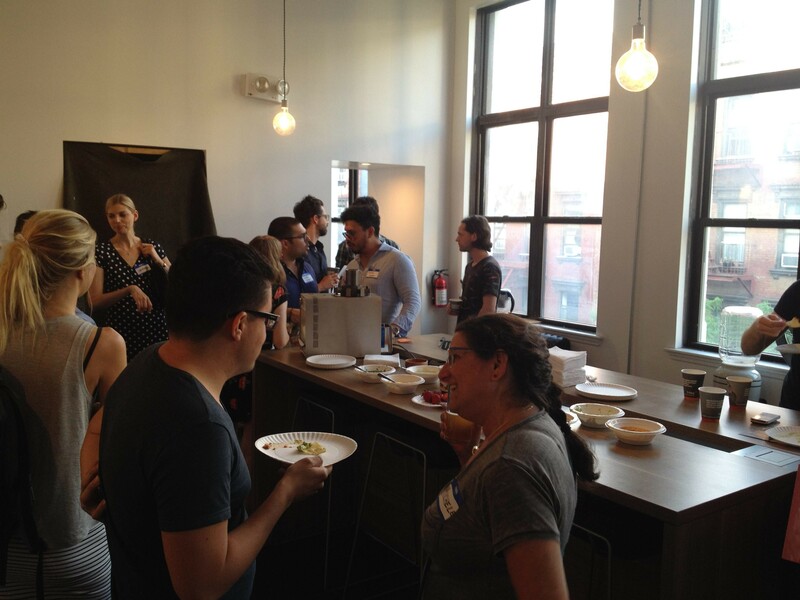 If you missed a chance to taste the tacos, we’ll be giving out samples tomorrow (Thursday, May 14th) at PandoMonthly’s fireside chat featuring Sheila Lirio Marcelo, CEO of Care.com. You can RSVP here!